The most misunderstood aspect of our business comes from intermediate and mid-sized companies which assume a Managed EDI Service solution only makes sense for small companies. The reality couldn’t be more different or more surprising. While it is true small companies do make up a large portion of the market it is also true that large organizations make up the next largest segment. Fortune 500 and Fortune 1000 companies have and will continue to move faster into Managed EDI Service solutions than their smaller competitors. Why then, are mid-sized companies slow to see the strategic, competitive and economic advantages the large companies have embraced? Dare we say it? Is it inferiority? A misguided perception they need to appear like they have all the capability of their large competitors? The sad truth is the vast majority of these mid-sized companies are spending far more and offer far less flexibility with their in-house EDI processes and connectivity options. Most of the time this is due to a combination of EDI Translation software at or near its end-of-life and an already strained IT staff. 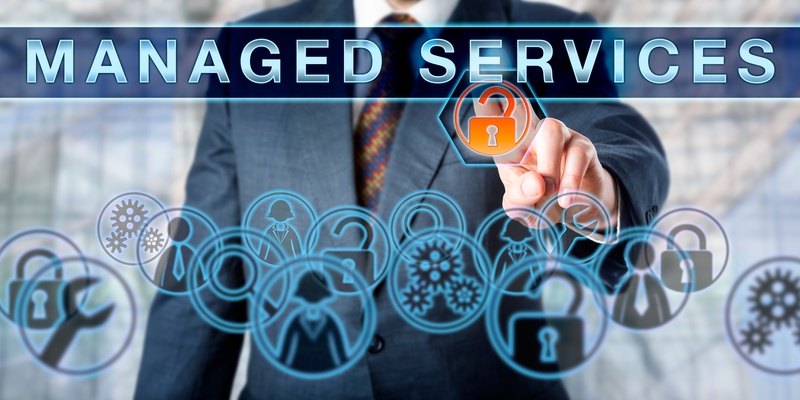 Meanwhile, their large competitors, through a competent Managed EDI Service provider offer far more EDI trading partner options and connectivity while protecting and focusing their internal staff onto more critical applications. The proof is when we take a look at our sales process and our customer base. Looking across the spectrum of industries and business we serve we see that 80% of our client base is made up of large enterprises leading their respective industries. Our most difficult and longest sales cycle is reserved for the intermediate and mid-sized companies. The common denominator is that they are glued to the perception they have to support, maintain and staff systems internally for credibility with their customers and trading partners. This may have been true before their large competitors moved to Manage EDI because there was a time when the large enterprise used their large complicated in-house infrastructure, processes, systems and IT staff as a competitive separation when talking with their customers. This is simply no longer true. They now boast platform, system and data independence, agility, flexibility and maximized resource allocation. All of which a Managed EDI Service solution will provide. Should everyone move to a Managed EDI Service and is “everyone” doing it? Well, no. There are many reasons to seek out a Managed EDI Service provider and there are reasons it makes sense not to move in that direction. However, there is a list of companies in every industry, at every size and in every market segment that have decided to move to a Managed EDI Service solution despite having no apparent deficiency. They have simply decided that they have no desire to perpetually maintain, upgrade and staff a mordern EDI infrastructure, various network protocols offering 24x7x365 connectivity or a complex B2Bi platform even though they have more than adequate resources. hold the view that EDI is nothing more than a commodity and that advances in connectivity, data transformation and integration have not changed since your EDI system was implemented. Because they have. Trust us when we tell you your customers care more about speed, reliability, flexibility, efficiency and your platform independence than they will about your company using a high quality and reliable Managed EDI Service. As a matter of fact, when asked, most prefer you do that. Your customer is more fearful of your company not being able to accommodate a change in business electronically and the time it will take them to hand-hold every vendor with a home-grown system with limited time and resources versus the speed and flexibility a high quality, reliable and on-demand staffed Managed EDI Service provider will offer in opposition.